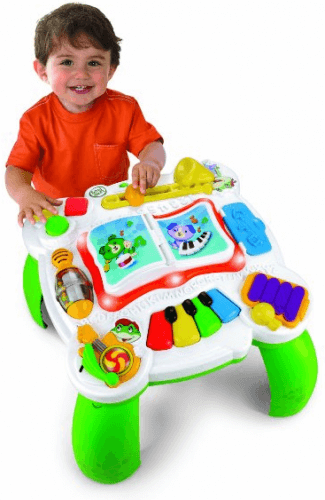 Save 42% on the LeapFrog Learn & Groove™ Musical Table + Free Shipping! The LeapFrog Learn & Groove™ Musical Table is on sale for $26.13 at Amazon right now. That's 42% off the list price of $44.99! Comes with either blue or green legs to attach to table as baby grows. Introduces shapes, numbers and counting 1-10 in English and Spanish.